Spirit Aid has been working in this beleaguered, war-torn country since 2002. Afghanistan is the poorest country in the world outside of Africa. The lifespan of an adult in Afghanistan is 43 for men and 45 for women. 2 out of every 5 children are dead before their fifth birthday. Only 17% of Afghans have access to Education. Only 13% have access to Health Services. Only 5% have access to fresh drinking water. 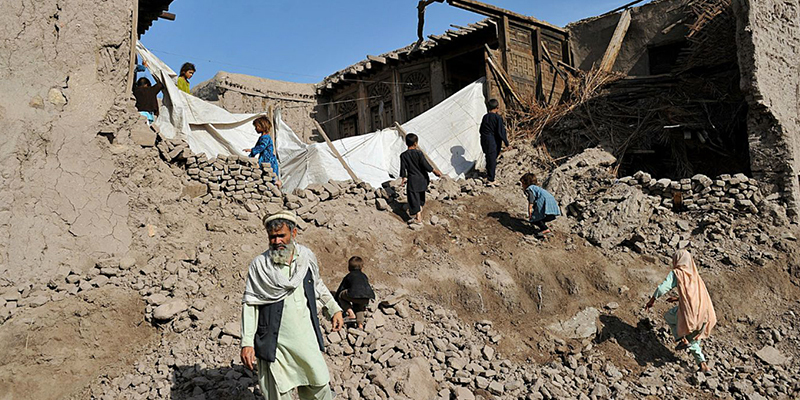 Afghanistan is one of the most heavily land-mined countries in the world. 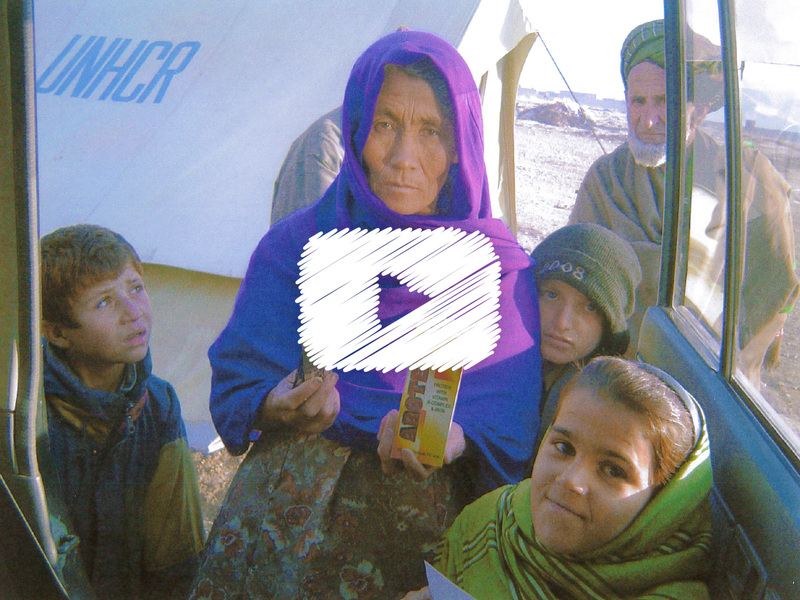 Since 2002, Spirit Aid has been providing medical services to isolated communities, refugee camps, prisons and women’s groups in the mountains of Northern Afghanistan. When David Hayman first went to the area, in 2002, he discovered that those communities had not seen a doctor in 24 years. Afghanistan is the poorest country in the world outside of Africa. Two out of every five children are dead by the age of five. Maternal mortality rates are among the highest in the world. The country has been devastated by war, poverty and drought. It is no surprise that health provision is seriously lacking in vast areas of the country. Many people live far from clinics and hospitals, and doctors have to be paid for their service and patients also pay for medicines. Each of our mobile clinics has a doctor, a midwife, a pharmacist and a driver, all Afghans. We also have a dentist on the team. We employ fourteen Afghan medics and staff, who, six days a week, drive into the mountain areas of the Hindu Kush to provide free medical services. This is a dangerous job in inhospitable territory. Much of the country is under the control of the Taliban who prohibit Western NGO’s from operating. Our vehicles are unmarked and we carry no weapons. The teams have to be back in our compound before dark because of the dangers. In our compound, we run a small school for 24 pupils. This provides extracurricular lessons in English, Mathematics, Science and IT Studies, all at the request of the students. Our Executive Director is Dr. Din Mohammad, Project Leader is Dr. Allah Mohammad and our Chief Medical Officer is Dr. Naji. David Hayman has visited Afghanistan nine times since his first visit in 2002. “Afghanistan is a stunningly beautiful country of savage contrasts. The temperature can go from 40 degrees of heat in summer to -30 degrees in winter. It is a land of mountain villages and teeming cities peopled by an exotic mix of tribal groups; Pashtuns, Tajiks, Uzbeks, Mongols, Hazara’s, the nomadic Kuchi and many others. It has been invaded, occupied and attacked many times throughout it’s history due, mostly, to the fact that it forms a major part of the the main trade route from China, the Great Silk Road. The Russian army devastated huge areas of the country and what was left was finished off by the U.S. and UK led war that started in 2001 and is still continuing today. For the innocents at the centre of this war torn country, life is a brutal struggle for survival. And yet, everywhere I have travelled in Afghanistan I have been met with a warm and friendly welcome, deeply curious as to why a white man was travelling alone and why I was trying to help. I have had many meetings with village elders or area commanders, squatting with them in the dust of a village to negotiate my way to bringing in the mobile clinics. These meetings can be long, serious and intense one minute, guffaws of laughter the next, usually due to me mispronouncing a word in Dari which meant something completely different from what I intended. A refugee camp, Kajalwan, is a favourite of mine as I have been visiting them over the years and know the community well. Over 300 people, Afghans, Internally displaced people they are called, IDP’s, refugees in their own country. It is a makeshift camp on the outskirts of a town. Men collect and dig for scrap metal left by the numerous Wars, it’s a dangerous job because Afghanistan was a heavily land-mined country and accidents happen. Women bake large, round, Uzbek breads which are simply the most delicious I have ever eaten and it is baked in under ground ovens. Some men work as porters in the market. Heating and cooking fuel comes from burning burst and discarded rubber tyres. The inside of tents and huts are black, as must be the lungs of the people. Respiratory disease is common in Afghanistan as is diohrea and gastro intestinal diseases due to lack of fresh water. Cooking water, by necessity is taken from rivers and aqueducts that are full of waste, animal and industrial, trucks and cars are washed and animals watered in the same water. When I first visited in 2002 there had been a drought for seven years, the rains of the past have still not returned. On each visit I ask the SA team to organise a feast. We go to the goat and sheep market and choose an animal, usually, a large goat. Buy some sacks of rice and onions and spices, the cooks arrive with huge cooking pots and the boys collect freshly baked naan breads, piles and piles of them. We sit on mats and eat with our hands, there are smiles of joy and contentment in the faces I see around me too intent on enjoying, relishing a hot cooked meal of meat, rice and onions with naan bread than talking. Only the sounds of hungry people eating. In no time at all the huge oil drums we used for cooking are empty as are the bowls of the children. After the feast we put up volleyball nets and play the game the Afghans love. To hear the laughter of children and the shouts of young people in this desolate setting is a joy. I sit and talk with the elders, many of whom, with their families, fled their country due to the war with the West and the Taliban. They spent years across the border in Pakistan living, surviving, in refugee camps. They returned after the fall of the Taliban in 2001 to find homes and villages bombed and destroyed, schools, hospitals and vineyards unfit for purpose, arable land poisoned. Struggling to rebuild their lives they, were again, driven out by the threat of the Taliban and have now been in Kajalwan for longer than I have known them. Our partners in Afghanistan who have given us invaluable help in the past have been the and , to whom we are indebted. “Afghanistan is a stunningly beautiful country of savage contrasts. The temperature can go from 40 degrees of heat in summer to -30 degrees in winter. It is a land of mountain villages and teeming cities peopled by an exotic mix of tribal groups; Pashtuns, Tajiks, Uzbeks, Mongols, Hazara’s, the nomadic Kuchi and many others. It has been invaded, occupied and attacked many times throughout its history due, mostly, to the fact that it forms a major part of the main trade route from China, the Great Silk Road. The Russian army devastated huge areas of the country and what was left was finished off by the U.S. and UK led the war that started in 2001 and is still continuing today. For the innocents at the centre of this war-torn country, life is a brutal struggle for survival. And yet, everywhere I have travelled in Afghanistan I have been met with a warm and friendly welcome, deeply curious as to why a white man was travelling alone and why I was trying to help. I have had many meetings with village elders or area commanders, squatting with them in the dust of a village to negotiate my way to bringing in the mobile clinics. These meetings can be long, serious and intense one minute, guffaws of laughter the next, usually due to me mispronouncing a word in Dari which meant something completely different from what I intended. A refugee camp, Kajalwan, is a favourite of mine as I have been visiting them over the years and know the community well. Over 300 people, Afghans, Internally displaced people they are called, IDP’s, refugees in their own country. It is a makeshift camp on the outskirts of a town. Men collect and dig for scrap metal left by the numerous Wars, it’s a dangerous job because Afghanistan was a heavily land-mined country and accidents happen. Women bake large, round, Uzbek bread which is simply the most delicious I have ever eaten and it is baked in underground ovens. Some men work as porters in the market. Heating and cooking fuel comes from burning burst and discarded rubber tyres. The inside of tents and huts are black, as must be the lungs of the people. Respiratory disease is common in Afghanistan as is diarrhoea and gastrointestinal diseases due to lack of fresh water. Cooking water, by necessity is taken from rivers and aqueducts that are full of waste, animal and industrial, trucks and cars are washed and animals watered in the same water. When I first visited in 2002 there had been a drought for seven years, the rains of the past have still not returned. On each visit, I ask the SA team to organise a feast. We go to the goat and sheep market and choose an animal, usually, a large goat. Buy some sacks of rice and onions and spices, the cooks arrive with huge cooking pots and the boys collect freshly baked naan bread, piles and piles of them. We sit on mats and eat with our hands, there are smiles of joy and contentment in the faces I see around me too intent on enjoying, relishing a hot cooked meal of meat, rice and onions with naan bread than talking. Only the sounds of hungry people eating. In no time at all the huge oil drums we used for cooking are empty as are the bowls of the children. After the feast, we put up volleyball nets and play the game the Afghans love. To hear the laughter of children and the shouts of young people in this desolate setting is a joy. I sit and talk with the elders, many of whom, with their families, fled their country due to the war with the West and the Taliban. They spent years across the border in Pakistan living, surviving, in refugee camps. They returned after the fall of the Taliban in 2001 to find homes and villages bombed and destroyed, schools, hospitals and vineyards unfit for purpose, arable land poisoned. Struggling to rebuild their lives they, were again, driven out by the threat of the Taliban and have now been in Kajalwan for longer than I have known them. Help us to continue our work in Afghanistan by making a donation towards our target. Any donations, no matter how small, will enable us to continue our work on the ground in the Hindu Kush mountains.